Things look great at the Holiday Restaurant ... bright and sunny. So why am I thinking of an old Jean Shepherd radio show in which JS worked on his dad's car and lost the bolts that held the carburetor on and at some not-yet stormy moment asked: do you see trouble rearing its head here? 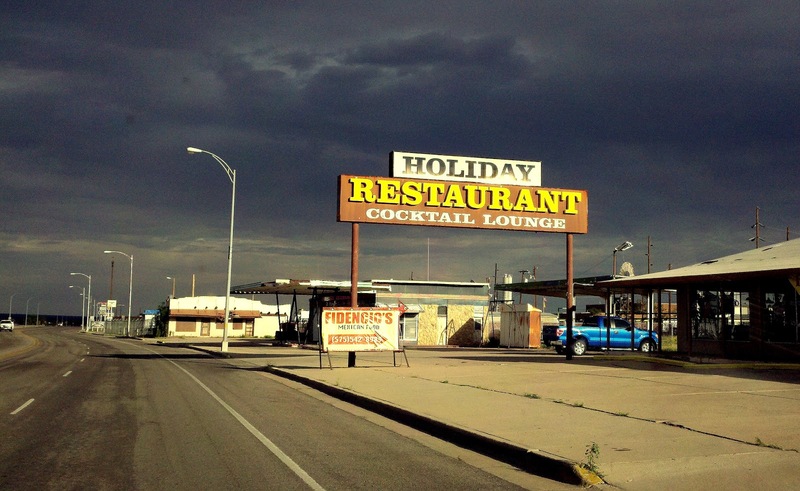 Lordsburg is a perfect example of the what a town in Depression is like. It is smaller than Yuma (AZ) but in the same dire straits. This is about the only place of business, other than McDonalds, that seems to be surviving there. Made for a good photo. I grew up in that town and was last there in Oct 2010 for my high school reunion. Memories..